FRESteamWorks is an Adobe native extension to access the SteamWorks API. Using this extension is possible to manage achievements, set/get stats values and write/read files in the cloud. The stats and achievements methods are an easy way to provide persistent, roaming achievement and statistics tracking for users in the Steam platform. 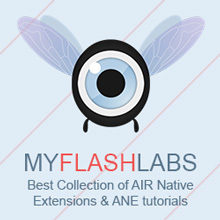 Air Native Extension, Mac, Windows Free. URL.